A new web site for Brad Cohen, vice President at EagleBank Corp and one of the Nations leading mortgage originators was launched in September. 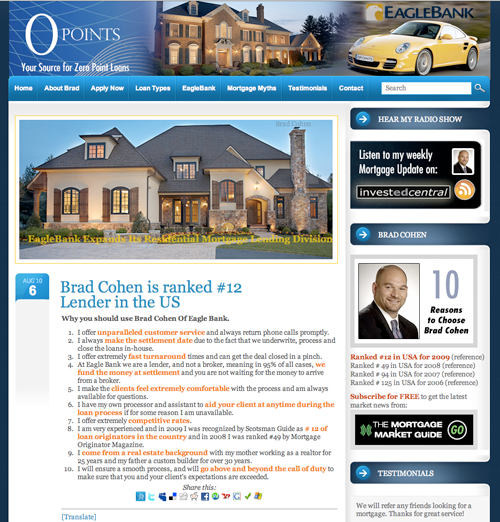 The site www.0points.com was custom designed and developed by Paul Turner Designs (PTD) and is packed with applications and tools for the loan industry. “I love my new site and tell all my friends to use PTD”, said Cohen, who has been hiring PTD since the original launching of his site in 1997.